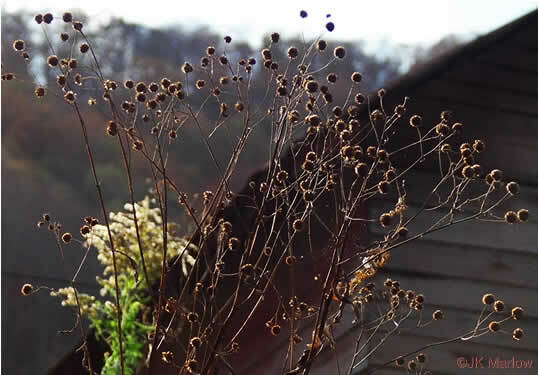 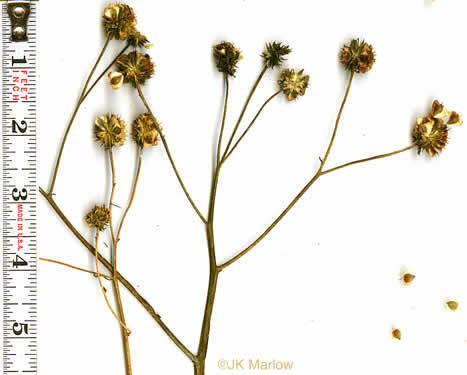 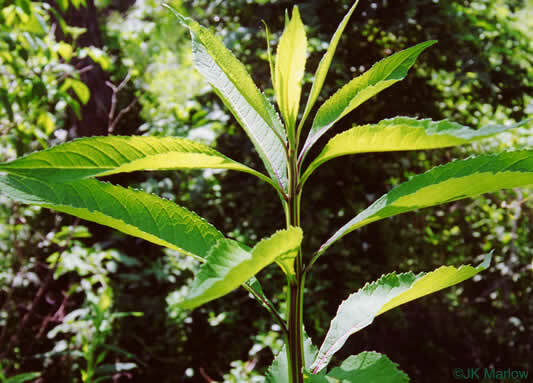 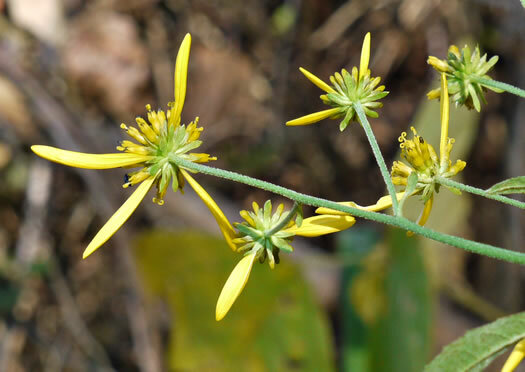 Read more about Wingstems and Crownbeards from Linda Chafin and the Southern Appalachian Botanical Society. 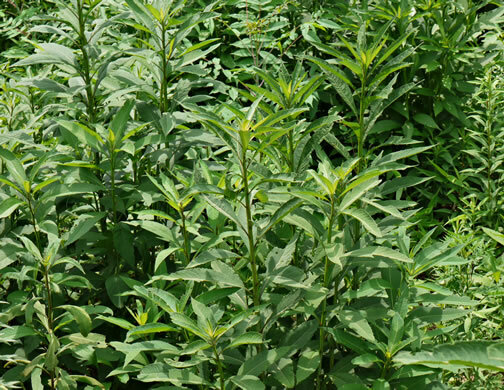 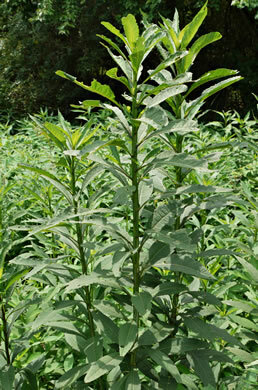 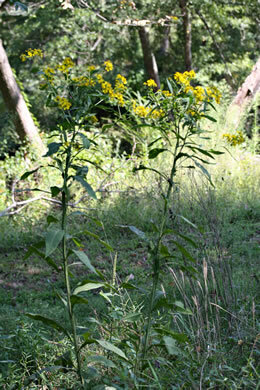 A robust 3-9' leafy perennial, per Atlantic Coastal Plain Wildflowers. 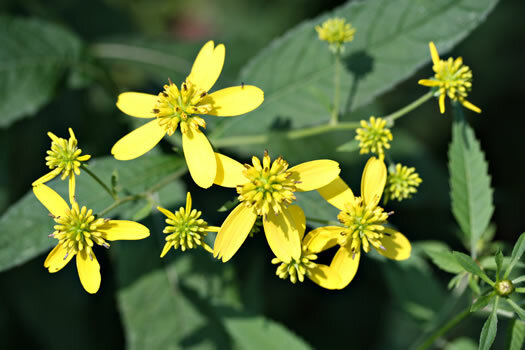 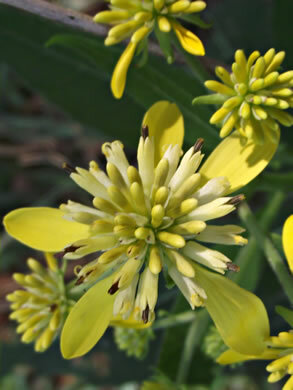 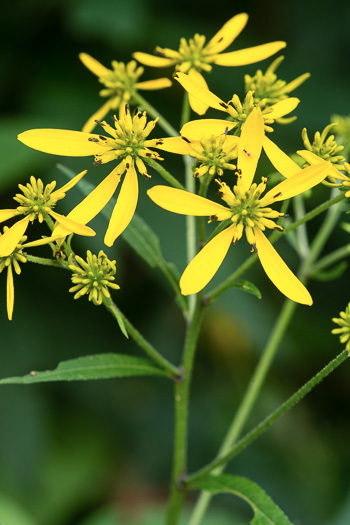 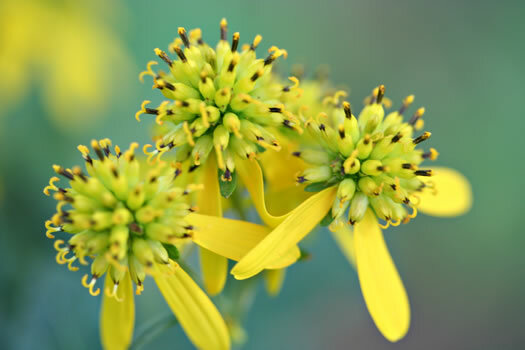 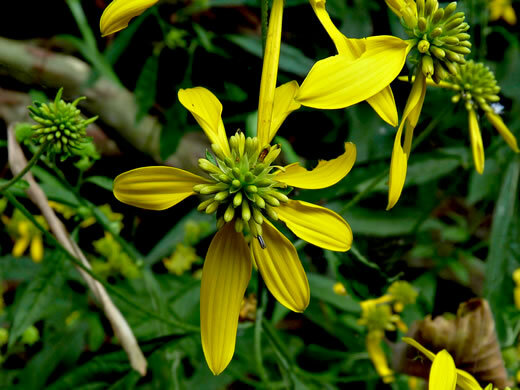 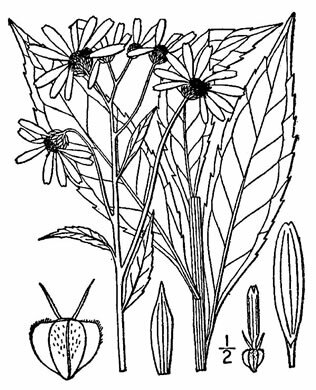 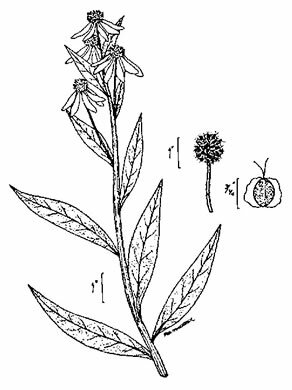 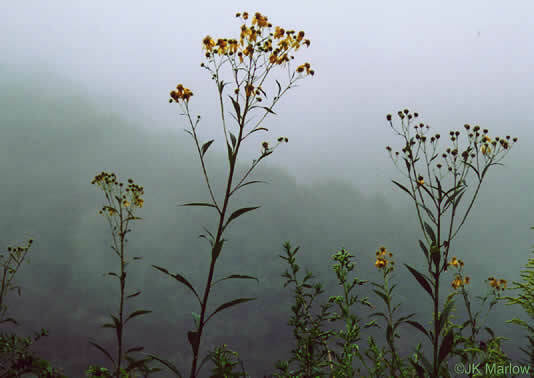 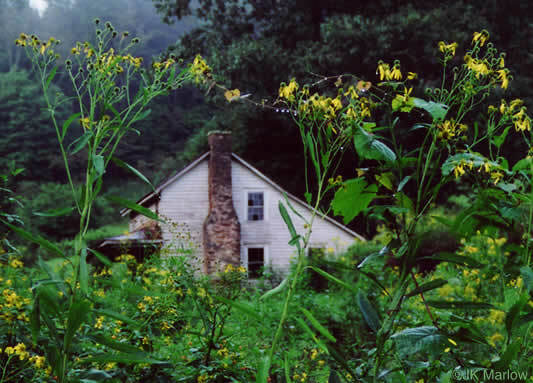 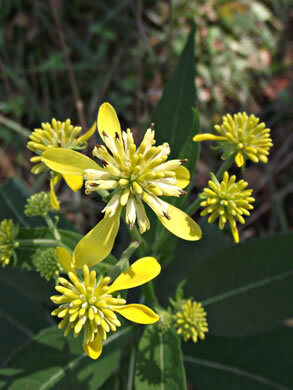 Flowers have 2-10 drooping yellow rays, per Wildflowers of the Southern Mountains. 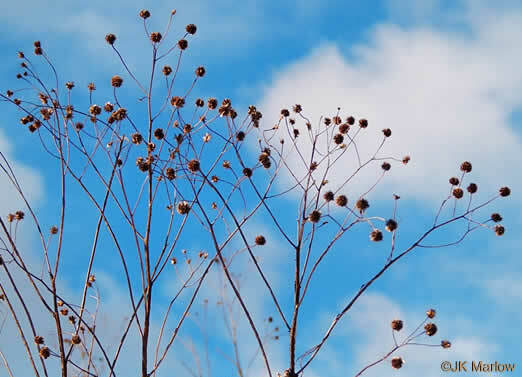 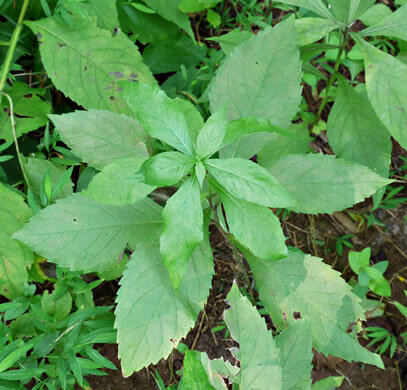 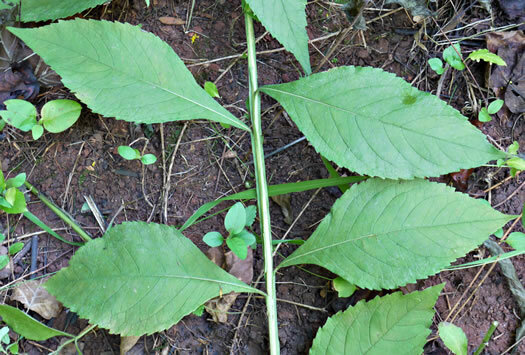 Leaves alternate, with winged stalks that extend downward as wings on stem, per Wildflowers of Tennessee. 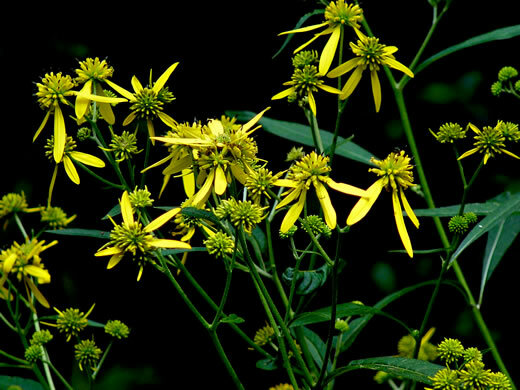 Disk flowers yellow, loosely arranged, forming a sphere, per Wildflowers of Tennessee, the Ohio Valley, and the Southern Appalachians. 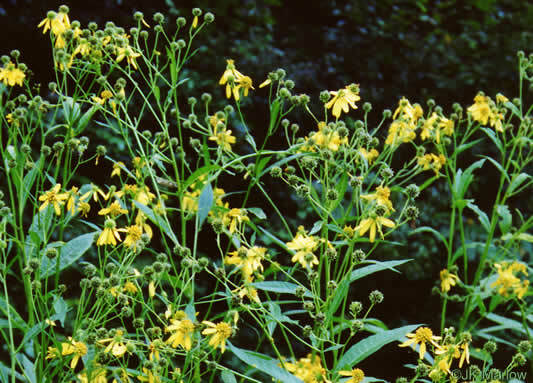 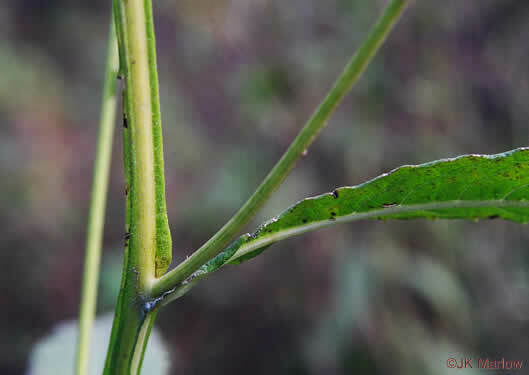 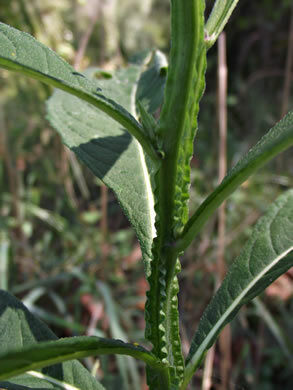 Winged petioles extend down the stem, per Wildflowers of Tennessee, the Ohio Valley, and the Southern Appalachians.